Here’s is all my current Giveaways or Sponsored Giveaways! DON'T FORGET to scroll down for even more giveaway fun! Check out my Opportunity Linky! Make sure you tell them "The Savings Wife" sent you! Wanna See Giveaways that happen continuously on a regular basis listed by Day of the Week! Welcome to my Giveaway linky! If your a blogger, please feel free to link up your giveaway below on the linky! The giveaway must be family friendly. If it’s not, I’ll be forced to delete it. The URL should be a direct link to the giveaway not your home page. 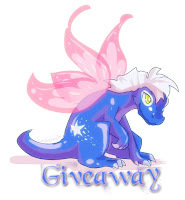 Chickie is my giveaway page Lady, she keeps my Giveaway linky full with great giveaways! If she has entered a Giveaway it is on there. She also lets me know about any freebies she finds. Here is why she does what she does. I was praying for a site to help out with Freebies and I found the Thesavingswife.com. I then started helping out more with the giveaways. I used to win things sometimes..But now it seems like I'm always winning, and some of the prizes are really nice:) In the last couple of months. I must have win more that $320 dollars worth of stuff! I believe the lord may be blessing me because I'm trying to help other people here win the giveaways also.